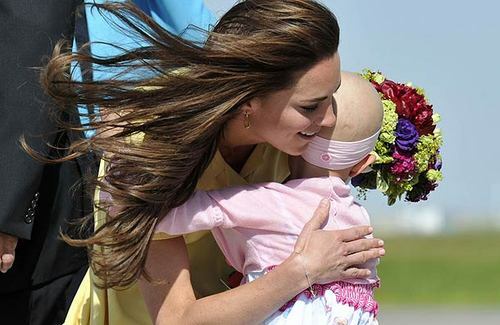 Kate Middleton hugs 6-year-old cancer sufferer and makes her feel so special: Royal Tour दिन 8 video. . Wallpaper and background images in the Kate Middleton club tagged: princess catherine kate middleton 2011 canada. This Kate Middleton photo contains गुलदस्ता, कंचुकी, कहावत, फूलों का गुच्छ, चोली, पॉसी, नाकगेय, ब्रोच, and nosegay.